As this is the week before Halloween, let’s play with some black and white photography of spooky objects made of wood. The community garden planters at the local school appear as tombstones laid side by side. Zombie-like plant life comes alive as they appear to crawl out of their coffins. 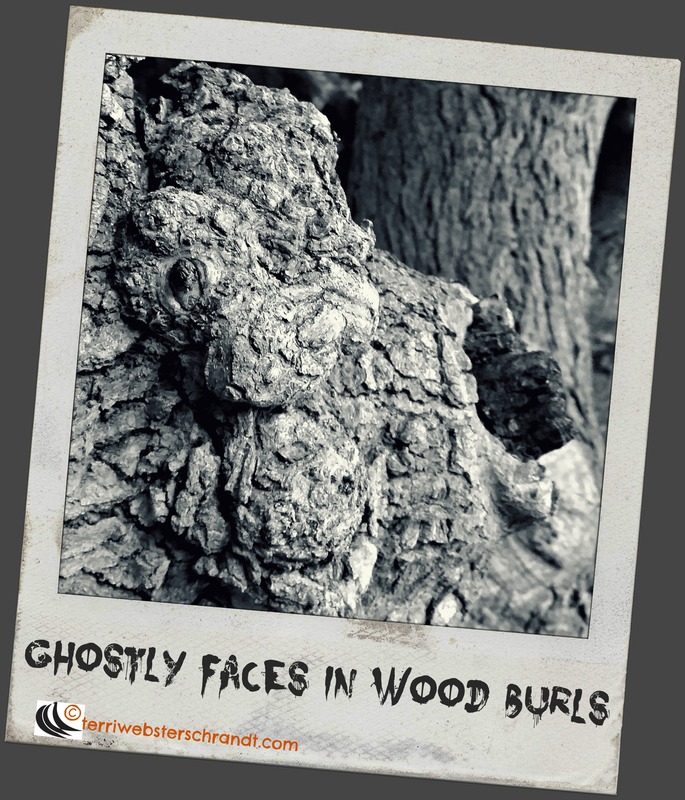 Living in the old mulberry tree in my own front yard is a burl full of ghostly faces ready to pop out and scare the trick-or-treaters as they walk by! Join Cee’s Photography challenges any time. Also posted on Lucile De Godoy’s The Clinic: Photo 101 Rehab. Well done. The editing is gorgeous. You see…you are great! Thank you, Lucile, for that lovely compliment! I joked that it probably scared the kids from ever eating veggies again! Very cool pictures. I think I need to play around with black and white photos more. Removing the color changes the image so much. HAH! I absolutely love your zombie plants. Hilarious. Forgive me for chuckling instead of screaming? Thanks, Judy, they are funny in a scary way…no wonder kids don’t want to eat their vegetables! Ha! 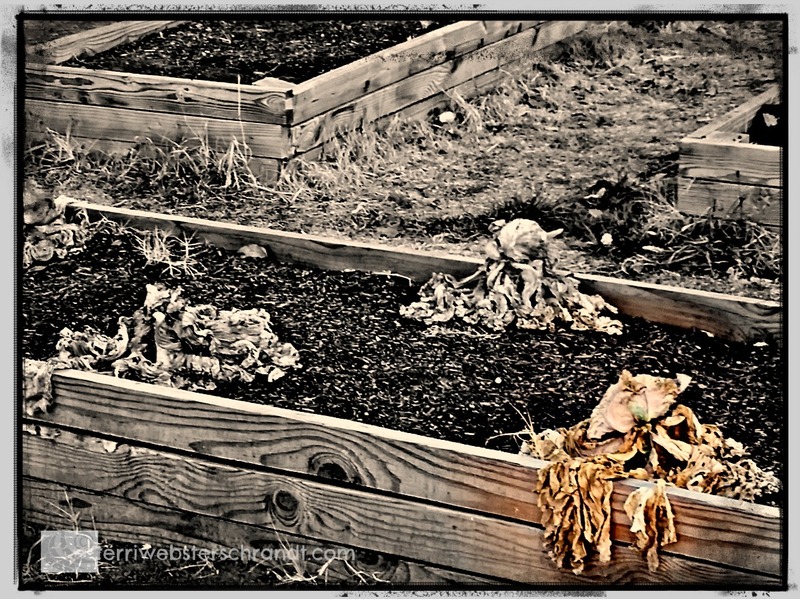 wilted lettuce is the zombie of greens! Wonderful entry for this week. Thanks. That first photo is creepy! It really does look like something undead is clawing it’s way out of the ground. As I was taking the picture, I saw that and thought it looked a little scary. I wonder if the kids at the school noticed?